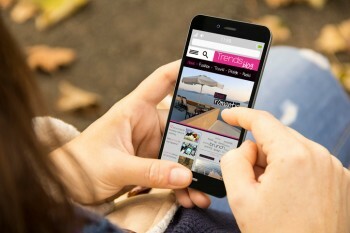 Google has begun rolling out its mobile-first indexing system, whereby its algorithms will start to prioritize a web site’s mobile pages when determining ranking. For local businesses and their SEO, this means that the mobile version will start to edge out the desktop version when it comes to sending out search signals and governing both mobile and non-mobile search results. Although Google’s split indexing has been signaled for a while and has been expected, there is a slight catch to the process that may catch some business web sites by surprise. This catch has to do with automated mobile pages (AMP), which are a type of static page designed to quickly and efficiently display content to a mobile device. The AMP version of a page is a separate type that resides alongside the mobile and desktop versions. This distinction is important since, as it has been learned, mobile-first indexing seems to be ignoring AMP pages by default unless a mobile version also exists. If a webpage only has AMP and desktop versions, than the default action is to assign rankings based on the desktop version. The current theory as to why mobile-first indexing is showing this behaviour has to do with the way the algorithms explore a web site. AMP pages generally do not have much in the way of site navigation, which can isolate them from crawlers and keep them hidden from indexing attempts. The quirk will probably get worked out in a future update, but for now, it is a reality that has to be accounted for. This quirk is problematic for any business that employs only desktop and AMP versions of their pages. Desktop pages do not have the same layouts or features that mobile-friendly versions have, and mobile-first indexing will end up penalizing your ranking for it. Obviously, this is not a preferred situation and can seem unfair. The good news is that, for any business web site with a desktop and AMP version, but no mobile version, this problem can be fixed. By using a rel=alternate attribute, you can mark the AMP version as the mobile version and force Google to pay attention to it. Alternatively, you could overhaul your desktop version and make it more mobile-friendly, but the rel=alternate approach is going to be the more effective, cheaper, and overall easier option. Numero Uno Web Solutions is a premier provider of affordable search engine optimization (SEO) services for businesses of all shapes, sizes, and industries. Our strategies take into account both the latest developments in organic and paid SEO and web marketing research along with tried-and-true approaches. Our precise, studied methods have benefited Toronto businesses along with industries across Richmond Hill, Vaughan, and more. Our success has even allowed us to extend our reach and offer SEO services to Texas, Massachusetts and Florida.